CIT vs. Haryana State Handloom And Handicrafts Corporation Ltd.
2. Briefly stated, the facts of the case are that the assessee is a corporation owned by the State Government and filed its return on December 28, 1992 declaring nil income. The said return was processed under section 143(1)(a), vide intimation dated January 22, 1993. Thereafter, the assessee filed a revised return accompanied by the audited accounts and report on December 16, 1993 declaring a loss of Rs. 47,62,880. While processing the revised return, the loss of the assessee was taken at Rs. 22,90,904, vide intimation dated August 25, 1994. The Assessing Officer took regular assessment of the assessee by issuing notice dated August 26, 1994. The assessee again filed a revised return showing loss of Rs. 9,09,580 on November 11, 1994, which was treated as invalid. The assessee objected to the intimation sent to it on August 25, 1994, claiming that the disallowance of any part of loss was not warranted under section 143(1)(a) of the Act and the same be allowed through rectification. The Assessing Officer in the intimation sent to the assessee on August 25, 1994 found that the audited balance-sheet showed that the previous year’s income at Rs. 29,28,368 claimed in the profit and loss account was not added in the said intimation. Thereafter, the Assessing Officer initiated proceedings under section 154 of the Act by issuance of notice dated September 26, 1994 and, vide order dated December 6, 199, added the said amount of Rs. 29,28,368 and reduced the loss claimed to Rs. 18,34,512. Resultantly, additional tax of Rs. 3,03,086 was imposed. Feeling aggrieved, the assessee took the matter in appeal before the Commissioner of Income-tax (Appeals) who, vide order dated October 13, 1995, confirmed the action of the Assessing Officer and dismissed the appeal. Still feeling dissatisfied, the assessee filed an appeal before the Tribunal who, vide order dated July 8, 2002, allowed the appeal holding that the order of the Assessing Officer and upheld by the Commissioner of Income-tax (Appeals) was not valid. Hence, the present appeal by the Revenue. 3. We have heard the learned counsel for the parties. 4. Learned counsel for the appellant has placed reliance upon the judgment of the Kerala High Court in Janatha Tile Works Ltd. v. CIT  283 ITR 35 (Ker) to submit that there is no bar under the provisions of the Act to take recourse to section 154 of the Act even when a notice under section 143(2) of the Act had been issued. On the other hand, learned counsel for the assessee supported the order passed by the Tribunal. 5 The only point that arises for consideration in this case is where notice under section 143(2) of the Act had been issued, could proceedings be initiated for rectifying the intimation dated August 25, 1994, by taking recourse to section 154 of the Act. 6. It is not in dispute that notice under section 143(2) was issued on August 26, 1994 whereas the proceedings under section 154 of the Act were initiated thereafter by issuance of notice dated September 26, 1994. 7. The identical controversy arose before the Calcutta High Court in Modern Fibotex India Ltd. v. Deputy CIT  212 ITR 496 (Cal), where the notice under section 143(2) for regular assessment had been issued and thereafter the Assessing Officer was making certain adjustments and varying the intimation. It was held that such adjustment and intimation in respect of the assessment were ultra vires the section and liable to be set aside. It was concluded that once the notice under section 143(2) had been issued there was no scope for the authorities either to make a prima facie adjustment on the basis of return as filed or issue an intimation under section 143(1)(a). 8. The Calcutta High Court in Coates of India Ltd. v. Deputy CIT (No. 1)  214 ITR 498 (Cal), reiterated that where the order under section 143(1)(a) is followed by a regular assessment under section 143(3), the order under section 143(1)(a), in so far as it is contrary to the regular assessment under section 143(3) ceases to be executable and becomes ineffective. It was also held that apart from the fact that no notice under section 154 being permissible in the circumstances of the case, the Assessing Officer himself could not have decided any debatable issue under section 143(1)(a). The issue of notice under section 154 by the Deputy Commissioner was seeking to correct the intimation under section 143(1)(a) by introducing a matter which he could not have decided under section 143(1)(a) in the first place. The Calcutta High Court was in fact following its earlier decision in Modern Fibotex India Ltd.’s case  212 ITR 496 (Cal). 9. In Gujarat Poly-AVX Electronics Ltd. v. Deputy CIT (Assessment)  222 ITR 140 (Guj), the Gujarat High Court examined the scope of sub-sections (1) and (2) of section 143 and held that after the issuance of notice under section 143(2) of the Act, it is not open to the Assessing Officer to make adjustment or to pass an order under section 143(1) of the Act, but he has to make assessment in accordance with law, that is, under section 143(3) of the Act. The Gujarat High Court followed the principle laid down in the decision of the Calcutta High Court in Modern Fibotex India Ltd.’s case  212 ITR 496 (Cal). 10. Identical issue before the Delhi High Court in CIT v. Punjab National Bank  249 ITR 763 (Delhi) was answered by holding that rectification of an intimation cannot be made after issuance of notice under section 143(2) and during the pendency of proceedings under section 143(3). It was held that if any change was permissible to be effected, the same can be done in the assessment under section 143(3) and not by exercising power under section 154 to rectify the intimation issued under section 143(1)(a). “Admittedly, the power under section 154 can be invoked only to correct an error apparent on the record. The scope of proceedings under section 143(2) is far wider. The competent authority had taken a view in the matter and issued a notice under section 143(2) to the assessee. 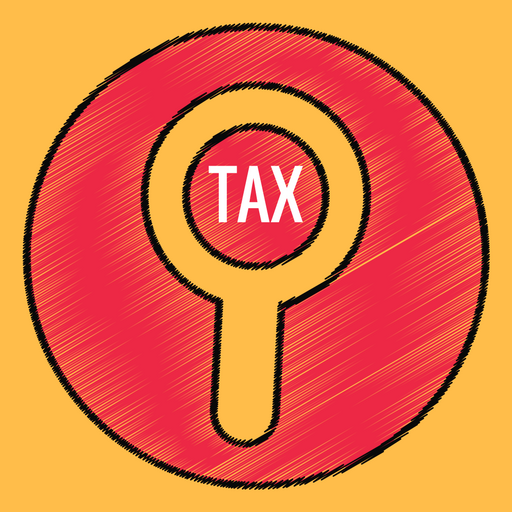 Such a notice is normally issued to ensure that the assessee has not understated the income or has not computed excessive loss or underpaid the tax. It is only on consideration of the matter and on being satisfied that it is necessary or expedient to do so that the Assessing Officer issues the notice under section 143(2). Once that has been done, the Assessing Officer has to proceed under sub-section (3) and make an assessment of the total income or loss of the assessee and determine the sum, if any, payable by it. The consequences follow under sub-section (4). 13. The Apex Court had approved the decision in Modern Fibotex India Ltd.’s case  212 ITR 496 (Cal). 14. We may now advert to the judgment of the Kerala High Court on which reliance has been placed by learned counsel for the Revenue. In Janatha Tile Works Ltd.’s case  283 ITR 35 (Ker) the assessee had filed return of income on December 31, 1990 which was processed under section 143(1)(a) on August 20, 1991 accepting the returned loss. The intimation was rectified under section 154 of the Act on August 26, 1992 and additional tax was levied under section 143(1A). The assessee contended that after completion of regular assessment under section 143(3) on March 27, 1992, intimation under section 143(1)(a) did not survive and recourse to section 154 of the Act was unwarranted. It was pleaded that levy of additional tax was, thus, unjustified. The argument of the assessee was rejected by the High Court and the judgments in Coates of India Ltd.  214 ITR 498 (Cal), Punjab National Bank  249 ITR 763 (Delhi) and Gujarat Poly-AVX Electronics Ltd.  222 ITR 140 (Guj) were dissented from. 15. After thoughtfully considering the entire matter, in view of the aforesaid judgments, we are unable to subscribe to the interpretation accorded by the Kerala High Court in Janatha Tile Works Ltd.’s  283 ITR 35 (Ker). 16. It is, thus, concluded that proceedings under section 154 of the Act for rectification cannot be initiated after issuance of notice under section 143(2) by the Assessing Officer to the assessee. Accordingly, the question of law as proposed, is answered against the Revenue. 17. The appeal is dismissed. This entry was posted in Section 154 and tagged 336 ITR, In favour of Assessee, Punjab And Haryana High Court, rectification u/s 154.